It is no light matter to speak to any assembly of immortal souls about the things of God. But the most serious of all responsibilities is, to speak to a gathering of ministers, such as that which I now see before me. The awful feeling will come across my mind, that one single word said wrong, sinking into some heart, and bearing fruit at some future time, in some pulpit, may lead to harm, of which we cannot know the extent. But there are occasions when true humility is to be seen, not so much in loud professions of our weakness, as in forgetting ourselves altogether. I desire to forget self at this time, in turning my attention to this portion of Scripture. If I say little about my own sense of insufficiency, do me the justice to believe, that it is not because I am not well aware of it. The Greek expression, which we have translated, "peddle," is derived from a word, the etymology of which is not quite agreed on by linguists who compile dictionaries. It either means a tradesman, who does his business dishonestly, or a wine maker, who adulterates the wine which he offers for sale. Tyndale renders it, "We are not of those who chop and change the Word of God." Another version of the Bible says, "We are not as many, who adulterate the Word of God" [Rhemish versions]. In our margin we read, "We are not as many, who deal deceitfully with the Word of God." In the construction of the sentence, the Holy Spirit has inspired Paul to use both the negative and the positive way of stating the truth. This mode of construction adds clearness and unmistakableness to the meaning of the words, and intensity and strength to the assertion, which they contain. Instances of a similar construction occur in three other remarkable passages of Scripture, two on the subject of baptism, one on the subject of the new birth. (John 1:13; 1 Peter 1:23; 1 Peter 3:21). It will be found, therefore, that there are contained in the text both negative and positive lessons for the instruction of the ministers of Christ. Some things we ought to avoid. Others we ought to follow. The first of the negative lessons is, a plain warning against corrupting or dealing deceitfully with the Word of God. The Apostle says, "Unlike so many" who do it, pointing out to us that even in his time there were those who did not deal faithfully and honestly with God's truth. Here is a complete answer to those who assert that the early Church was one of unmixed purity. The mystery of iniquity had already begun to work. The lesson which we are taught is, to beware of all dishonest statements of that Word of God which we are commissioned to preach. We are to add nothing to it. We are to take nothing away. Now when can it be said of us, that we corrupt the Word of God in the present day? What are the rocks and reefs which we ought to avoid, if we would not be of the "many" who deal deceitfully with God's truth? A few suggestions on this would be useful. 1. We corrupt the Word of God most dangerously, when we throw any doubt on the absolute inspiration of any part of Holy Scripture. This is not merely corrupting the cup, but the whole fountain. This is not merely corrupting the bucket of living water, which we profess to present to our people, but poisoning the whole well. Once wrong on this point, the whole substance of our religion is in danger. It is a flaw in the foundation. It is a worm at the root of our theology. Once we allow this worm to gnaw the root, then we will not be surprised if the branches, the leaves, and the fruit, decay little by little. The whole subject of inspiration, I am well aware, is surrounded with difficulty. All I would say is, that, in my humble judgment, notwithstanding some difficulties which we may not be able now to solve, the only safe and tenable ground to maintain is this--that every chapter, and every verse, and every word in the Bible has been "given by the inspiration of God." We should never desert a great principle in theology any more than in science, because of apparent difficulties which we are not able at present to remove. "We cannot explain the aberrations of Uranus now; but we may be sure that the Newtonian system will be proved to be right, sooner or later. Something may be discovered one day, which will prove that these aberrations may be accounted for, and the Newtonian system will remain true and unshaken." A few years later, the anxious eyes of astronomers discovered the last great planet, Neptune. The planet was shown to be the true cause of all the aberrations of Uranus; and what the French astronomer had laid down as a principle in science, was proved to be wise and true. The application of the story is obvious. Let us beware of giving up any first principle in theology. Let us not give up the great principle of absolute inspiration because of difficulties. The day may come when they will all be solved. In the mean time we may rest assured that the difficulties which beset any other theory of inspiration are ten times greater than any which beset our own. 2. Secondly, we corrupt the Word of God when we make defective statements of doctrine. We do so when we add to the Bible the opinions of the Church, or of the Church Fathers, as if they were of equal authority. We do so when we take away from the Bible, for the sake of pleasing men; or, from a feeling of false liberality, keep back any statement which seems narrow, and harsh, or hard. We do so when we try to soften down anything that is taught about eternal punishment, or the reality of hell. We do so when we bring forward doctrines in their wrong proportions. We all have our favorite doctrines, and our minds are so constituted that it is hard to see one truth very clearly without forgetting that there are other truths equally important. We must not forget the exhortation of Paul, to minister "according to the proportion of faith." We do so when we exhibit an excessive anxiety to fence, and guard, and qualify such doctrines as justification by faith without the deeds of the law, for fear of the charge of antinomianism; or when we flinch from strong statements about holiness, for fear of being thought legal. We also do this when we shrink back from the use of Bible language in giving an account of doctrines. We are apt to keep back such expressions as "born again," "election," "adoption," "conversion," "assurance," and to use a roundabout phraseology, as if we were ashamed of plain Bible words. I cannot expand these statements because we are short of time. I am content with mentioning them and leave them to your private thought. 3. In the third place, we corrupt the Word of God when we make a defective practical application of it. We do so when we do not discriminate between classes in our congregations--when we address everyone as being possessed of grace, because of their baptism or church-membership, and do not draw the line between those who have the Spirit and those who have not. Are we not apt to keep back clear, direct appeals to the unconverted? 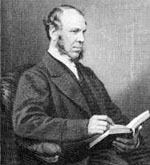 When we have eighteen hundred or two thousand persons before our pulpits, a vast proportion of whom we must know are unconverted, are we not apt to say, "Now if there is any one of you who does not know the things that are necessary for eternal peace" -- when we ought rather to say, "If there are any of you who has not received the grace of God?" Are we not in danger of defective handling of the Word in our practical exhortations, by not bringing home the statements of the Bible to the various classes in our congregations? We speak plainly to the poor; but do we also speak plainly to the rich? Do we speak plainly in our dealings with the upper classes? This is a point on which, I fear, we need to search our consciences. I now turn to the positive lessons which the text contains. "In Christ we speak before God with sincerity, like men sent from God." A few words on each point must suffice. 1. We should aim to speak "with sincerity"
Sincerity of aim, heart, and motive; to speak as those who are thoroughly convinced of the truth of what they speak; as those who have a deep feeling and tender love for those whom we address. 2. We should aim to speak "like men sent from God." We ought to strive to feel like men commissioned to speak for God, and on His behalf. In our dread of running into Romanism [Roman Catholicism], we too often forget the language of the Apostle, "I make much of my ministry." We forget how great is the responsibility of the New Testament minister, and how awful the sin of those who when a real messenger of Christ addresses them refuse to receive his message, and harden their hearts against it. 3. We should aim to speak "before God." We are to ask ourselves, not, What did the people think of me? but, What was I in the sight of God? Latimer was once called upon to preach before Henry VIII, and began his sermon in the following manner (I quote from memory, and do not pretend to verbal accuracy), He began: "Latimer! Latimer! do you remember that you are speaking before the high and mighty King Henry VIII; who has power to command you to be sent to prison, and who can have your head cut off, if it please him? Will you not be take care to say nothing that will offend royal ears?" Then after a pause, he went on: "Latimer! Latimer! do you not remember that you are speaking before the King of kings and Lord of lords; before Him, at whose throne Henry VIII will stand; before Him, to whom one day you will have to give account yourself? Latimer! Latimer! be faithful to your Master, and declare all of God's Word." O that this may be the spirit in which we may always express from our pulpits, not caring whether men are pleased or displeased--not caring whether men say we were eloquent or feeble; but going away with the witness of our conscience--I have spoken as standing before God's sight. 4. Finally, we should aim to speak "as in Christ." The meaning of this phrase is doubtful. Grotius says, "We are to speak as in His name, as ambassadors." But Grotius is a poor authority. Beza says, "We are to speak about Christ, concerning Christ." This is good doctrine, but hardly the meaning of the words. Others say, We are to speak as ourselves joined to Christ, as those who have received mercy from Christ, and whose only title to address others is from Christ alone. Others say, We should speak as through Christ, in the strength of Christ. No meaning, perhaps, is better than this. The expression in the Greek exactly answers to Philippians 4:13, "I can do everything through him who gives me strength." Whatever sense we ascribe to these words, one thing is clear: we should speak in Christ, as those who have themselves received mercy; as those who desire to exalt, not themselves, but the Savior; and as those who care nothing what men think of them, so long as Christ is magnified in their ministry. In conclusion, we should all ask, Do we ever handle the Word of God deceitfully? Do we realize what it is to speak as of God, as in the sight of God, and in Christ? Let me put to everyone one searching question. Is there any text in God's Word which we shrink from expounding? Is there any statement in the Bible which we avoid speaking about to our people, not because we do not understand it, but because it contradicts some pet notion of ours as to what is truth? If this is true, let us ask our consciences whether this is very much like handling the Word of God deceitfully. Is there anything in the Bible we keep back for fear of seeming harsh, and of giving offense to some of our hearers? Is there any statement, either doctrinal or practical, which we mangle, mutilate or dismember? If so, are we dealing honestly with God's Word? Let us pray to be kept from corrupting God's Word. Let neither fear nor the favor of man induce us to keep back, or avoid, or change, or mutilate, or qualify any text in the Bible. Surely we ought to have holy boldness when we speak as ambassadors of God. We have no reason to be ashamed of any statement we make in our pulpits so long as it is Scriptural. I have often thought that one great secret of the marvelous honor which God has put on a man who is not in our denomination (I allude to Mr. Charles Spurgeon) is, the extraordinary boldness and confidence with which he stands up in the pulpit to speak to people about their sins and their souls. It cannot be said he does it from fear of any, or to please any. He seems to give every class of hearers its portion--to the rich and the poor, the high and the low, the king and the peasant, the learned and the illiterate. He gives to every one the plain message, according to God's Word. I believe that very boldness has much to do with the success which God is pleased to give to his ministry. Let us not be ashamed to learn a lesson from him in this respect. Let us go and do likewise.